Uncle Sam isn’t the only one who has your back - we do too. Estimate your SBA loan payments here. The SBA takes on the risk, and you reap the rewards. SBA loan payments are determined by four key components: loan amount, interest rate, term, and guarantee fee. 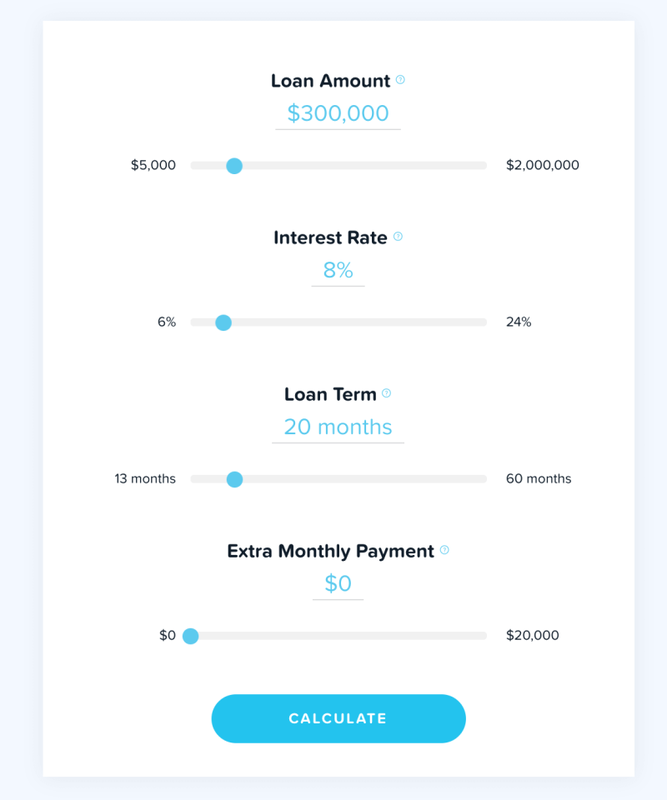 Your loan amount is influenced by several qualifying factors: your financial projections, your credit score, how much financing you can afford, what the loan will be used for, and more. Depending on which SBA loan you choose, you may have a variable or fixed interest rate. The biggest impact on your specific interest rate is your credit score – generally speaking, the higher the score, the lower the rate. Term lengths vary by SBA loan. For example, an SBA Express loan typically has a 10-year term while a 504 loan can have a 20-25 year term. SBA loans over $150,000 include a modest guarantee fee. Here’s how it works: the SBA requires each lender to pay a fee in exchange for the SBA’s backing of your loan. The lender pays this fee, then typically passes the cost back to you. The fee will be spread over your monthly payments for the cost of your loan. The guarantee fee will vary depending on how much of your loan the SBA is backing. There’s no cost or obligation to compare SBA loan options and apply through Lendio, but many lenders will charge you application fees. If you’re shopping around, avoid surprises by asking about application fees. Making your monthly payments on time is the easiest way to keep your loan costs under control. Simply set calendar reminders or schedule automatic payments to stay on track and avoid late fees. It’s also a good idea to ask your lender about any potential penalties or discounts that may apply to your loan. For example, some lenders discourage prepayments by enforcing penalties while others offer you a discount for paying off your loan early.